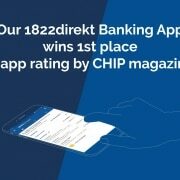 1822direkt Banking App based on the Tabris.js framework wins in app review for German Banking Applications 2018 by CHIP Magazine. 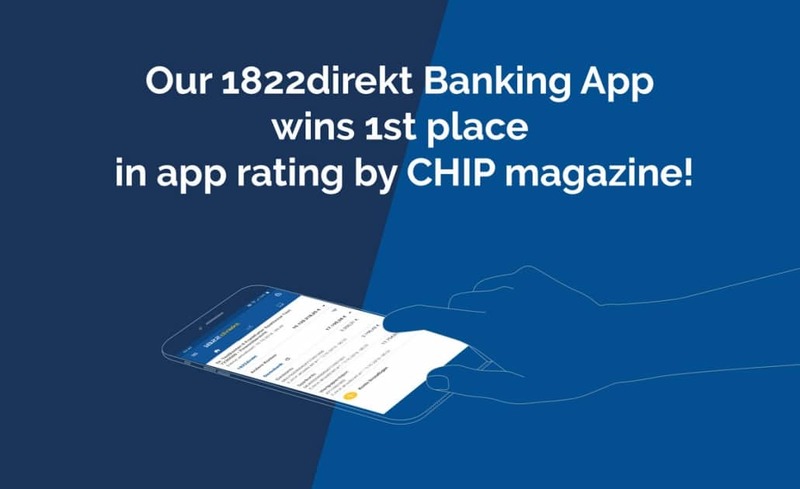 We are very proud and happy that our 2-year project finally wins the major comparison for the very demanding German market with our 1822direkt Banking App winning the first place in banking app category! 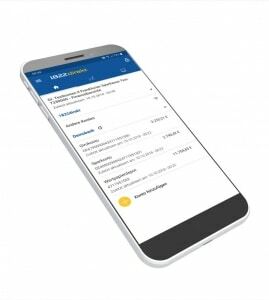 In its current issue 11/2018, the German CHIP computer magazine tested several online banking apps in the context of the article “Our money in safe hands”. Our 1822direkt Banking App developed with the Tabris framework came out best. Tabris CLI for building apps. We used practically all the widgets provided by Tabris.js. It is really mighty, so you can even invent new features without having too much effort and trouble. Our secure vault convinced in the test through its efficiency. From the very beginning, the Tabris.js framework was focusing on the highest security and quality of code – that direction led us to serve very demanding markets like banking and the medical sector. Now we are fully concentrating our work on a Strong Customer Authentication (SCA) application that will meet Payment Service Directive 2 (PSD2) requirements for the year 2019. In this place, we would like to say big thanks to the Tabris Team and our colleagues from the 1822direkt bank for bringing this successful project to its best possible results. Visit our sites and learn more about our security solutions or products for demanding markets. https://tabris.com/wp-content/uploads/2018/10/1822-sociel-cover-photo.jpg 733 1200 Markus Knauer /wp-content/uploads/2018/06/tabris-logo.png Markus Knauer2018-10-22 11:00:282019-01-29 20:30:591822direkt Banking App based on the Tabris.js framework wins in app review for German Banking Applications 2018 by CHIP Magazine.